Melbourne is famous for its rooftop bars that offer stunning panoramic views of the city skyline and beyond. However, because they’re so popular, it can be difficult to enjoy the benefits of a rooftop view without interruption. But what if you could enjoy uninterrupted views of the city skyline from your own private room with rooftop access? 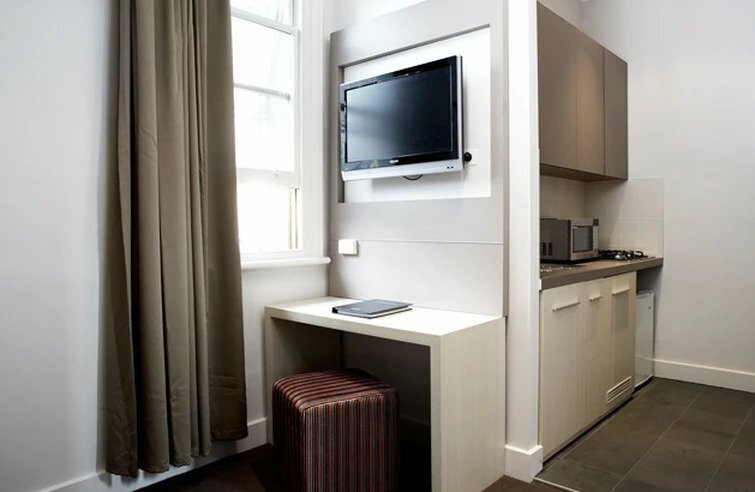 Don’t worry about the pricey penthouse apartments of the Melbourne CBD – especially if you’re only staying a night or two. Enjoy the full, unspoiled views spanning Southbank and the city skyline when you book a Rooftop Room at Best Western Melbourne. You can enjoy complete comfort and convenience without the high cost. And then there’s the most impressive feature of all – the spectacular Melbourne skyline, which you can enjoy from your own exclusive vantage point. There’s No Better Time than Now to Book! Kick back and relax as you watch over Melbourne from your Spencer Street rooftop, whether it’s the carefully coordinated fireballs shooting into the sky outside Crown Casino, the people walking back from the football at nearby Etihad Stadium, or the beauty of the skyline at night. 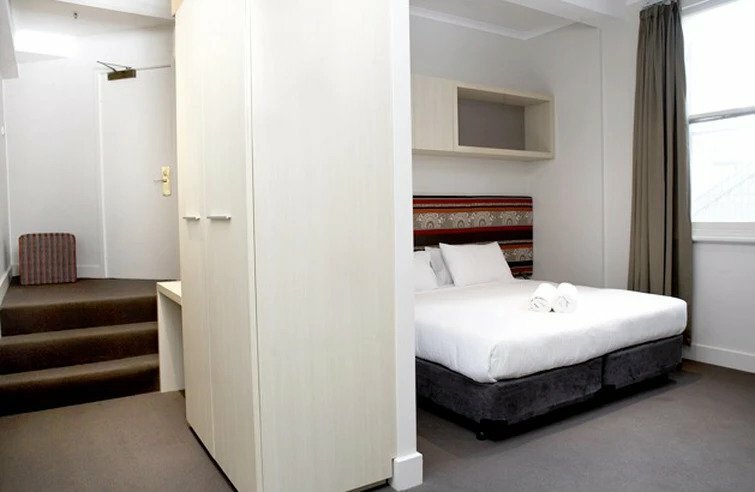 If you’re looking for pet friendly accommodation in the Melbourne CBD, discover the pleasures of rooftop living when you book at Best Western Hotel on Spencer Street in the heart of Melbourne. Have stayed at Best Western (and previously as The Pensione) three times now, and each time has been comfortable and very pleasant. Stayed in Matchbox, Shoebox and Courtyard rooms. Matchbox room overlooked Spencer Street but was very quiet - only problem was I could not easily fit into the shower as the entrance was very narrow and I'm a bit big - but not huge. Sorry folks - you lose one star there - the shower cubicle door did not need to be that narrow. The Shoebox looked into the inside courtyard and was very cosy too, but the best of all was Courtyard room on the ground floor. The little courtyards are beautiful and very green. Happy to stay here everytime I am in Melbourne. For the rates that are asked it is very good value - five stars (even with the narrow shower door). Stayed in the "trio room" and it was larger than I expected. Very clean and comfortable. Overlooking Spencer St, with large double glazed windows the ONLY traffic noise we could hear was the occasional siren. Bathroom is tiny but functional and again, immaculately clean. Friendly attentive staff with knowledge of surrounding restaurants etc. Was pleasantly surprised by the amenities and made use of the attached Thai massage rooms accessible via the foyer. Great location, within a short stroll of Crown, the Convention centre and pretty much everything. Free trams through the city makes it easy to get around. oh my god oh my god oh my god... *breathe Denis* room 20 Melbourne's best kept secret. ... Arrived to friendly and helpful desk staff, good people, keep up your efforts, they are appreciated. Kudos! Shown to our room, Room 20, I know bugger all about the rest of the place, so this is just MY experience. Anyways, the room was small, but that was a no brainer, it is plastered all over their website, it was actually bigger than I imagined, and clean, very clean. 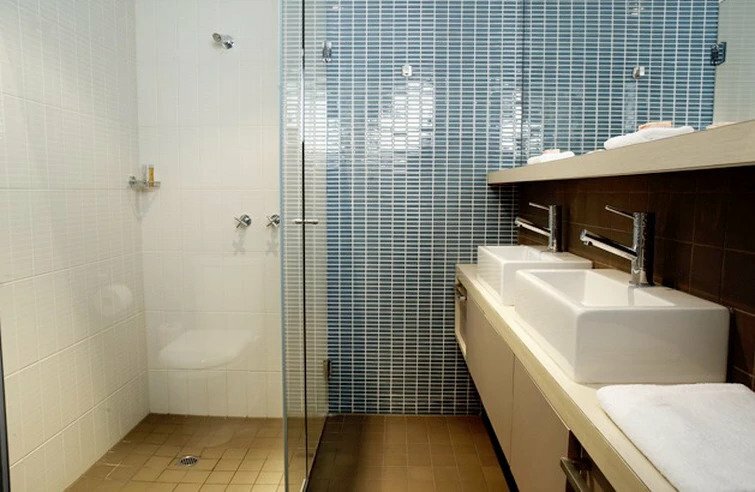 The bathroom, couldn't swing a cat in there, but you can move about easily, it is ample for what you need to do, but the best part... wait for it! The shower is easily big enough for 2 people to use and has a 10 inch shower rose that just belts the water out!!! oh no no no... none of those bloody annoying water saving shower heads here fella! A REAL shower. Sheer luxury. And no one ever mentions this, but I will... Soft real toilet paper!!!! Not those transparent psuedo paper things you get in most places, like using bloody glad wrap that stuff. While we are on the subject of that, fellas, the "house toilets" are 9 steps from your door, I counted them, so to keep the missus happy, and stop stinking up the room, just slip down the passage 9 paces and use the house toilets for your morning constitutional, brilliant! Did I mention this room comes with a private courtyard attached? An incredibly quiet and green leafy oasis in a noisy city. If you stood on the table in the centre of the courtyard you could easily swing a cat, so plenty of room for the two of you to sit out there and chat or smoke or just unwind and relax a bit. Check some of the photos on the website, there are a couple of the courtyard, I really enjoyed just kicking back and relaxing for a bit in it's leafy green embrace. We stayed for 2 nights and our room was serviced, Well done to the house staff, I feel your pain, you do all the hard work and get none of the Kudos, here, have one on me! Coffee shop in the foyer area does a pretty good flat white too. In conclusion, highly recommend room 20! I will definitely be back.